Workshop with Richard Cupidi from 2:30pm, film will start at 4pm. 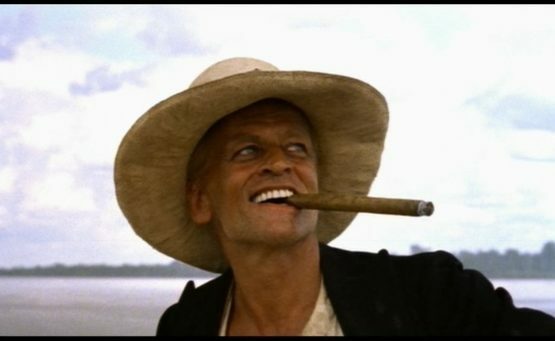 In this, another of the five films that were directed by Herzog that he appeared in, Kinski plays an Irish adventurer in early 20th-century Peru who dreams of building an opera house in a remote Amazon port and bringing Enrico Caruso there. The images of a large steamboat being dragged across a steep isthmus with the help of hostile natives is never forgotten and this is a stunning, grandiose, deeply romantic work, shot under horrendous conditions that took four years to make. Not to be missed – especially if not seen before!